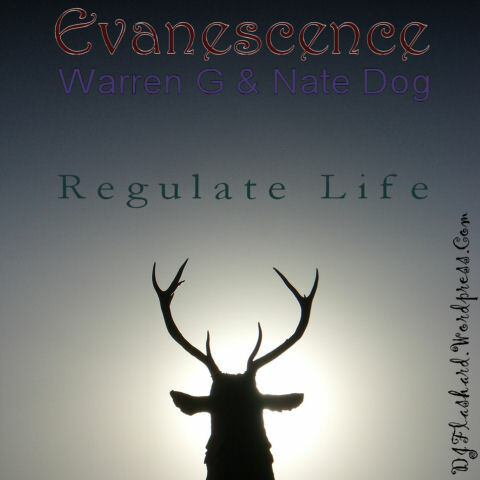 Evanescence vs Warren G & Nate Dogg – Regulate Life. This mash came together fairly quickly. Always loved the Warren G & Nate Dogg classic – Regulate, and had the pella and mental for a while, so finally managed to find a vocal that fits pretty well. Kinda gives the Evanescence track a laid back, chilled out feel. Had to clean up the mental a little as it seems to have been originally lifted from vinyl – you might still hear a few crackles, but hope they are minimal and don’t spoil things! ;o) Anyways, as always, hope you like!! DJ Flashard – Evanescence vs Warren G & Nate Dogg – Regulate Life. Mixed using Evanescence – Bring Me To Life (Acapella) and Warren G and Nate Dogg – Regulate (Acapella and Instrumental). Marvin Gaye Vs Calvin Harris Vs BEP – Vegas Aint Halfway High Enough. Entered into the MashStix Face-Off Tournament. My 1st round match was against Sergio (and I narrowly won after a tight contest!). Thanks to everyone who voted! So, on to round 2! The only rule this time was you had to use a Mowtown pella or mental. Haven’t touched the Calvin Harris mental too much (apart from shortening it a little and looping some of the ‘lighter’ moments). Most of the work was cutting up the Marvin Gaye / Tammy Terrell vocals and key matching them to the mental. Also, half way through when it was an A+B mash, I wasn’t happy that the Gaye / Terrell chorus sat that well with the Vegas key changes, so looked for an alternative. Black Eyed Peas (BEP) – Meet Me Halfway fitted the bill fairly well, but there is only a couple of DIY pellas out there (the Sam998899 version is by far the best – a lot less artifacts left in there! ), so used the chorus from that – having cut it up first so I got as clean a vocals as possible. Added a little reverb here and there, volume adjusted and EQ’d the different pieces, and finally finished the mash. So here’s my entry. If you like it, please vote for me at the MashStix link below. Many thanks! 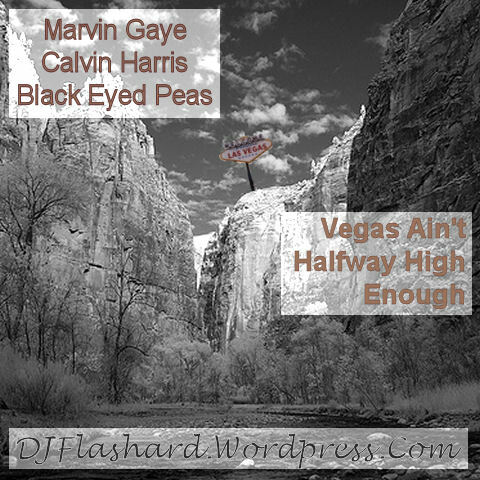 DJ Flashard – Marvin Gaye Vs Calvin Harris Vs Black Eyed Peas – Vegas Aint Halfway High Enough. Mixed using Marvin Gaye and Tammy Terrell – Ain’t No Mountain High Enough (Acapella), Black Eyed Peas – Meet Me Halfway (DIY Sam998899 Acapella) and Calvin Harris – Vegas (Instrumental).